Everyone singing on your stage has probably been taught something different about how to hold a microphone. Or they have never been taught and they are just doing what is natural. But this is an important skill for your vocalist (speaking or singing) to learn so that your sound is clear and intelligible. How far should the mic be from your mouth? Can I cup the entire head of the microphone with my hand? Should it be straight on with my mouth or at an angle? These are all things that are defined by the mic being used and can create varying degrees of problem if not done properly. We’ve all seen the pastor or singer who holds the mic a foot or more from their face. And we have all heard the hollow empty sound and lack of volume before the mic feeds back. Your audio engineer is doing their very best to make up for a deficiency that could easily be corrected with a little training for that person on stage. As a rule of thumb, the mic should be within 2-3 inches from your mouth for normal singing or speaking. The singers natural power and ability will effect this range a bit, but this is a good starting point. You may have to tell your quieter people to “eat the mic” so they can be heard. Some people may need to pull it a bit further away to avoid distortion and mic clipping. Mic angle also matters. Holding the mic at an appropriate angle can help to soften pops and hisses and harsh letter sounds. Point the mic a little more towards the ceiling as opposed to straight on at your mouth. This will lessen the sensitivity of the mic just enough to assist with those noises. And don’t cup your hand around the head of the mic. This will muffle the sound of the mic. Keep your hand on the handle. 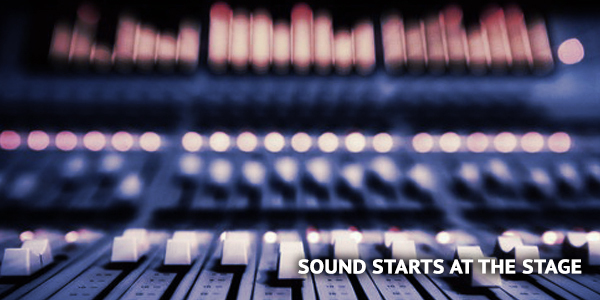 Follow these tips and your audio engineer will be a little happier. And be natural. These are not hard fast rules. They are tips that help. But as a singer or speaker, you still need to feel comfortable and natural. Please fill out the form and one of our Account Manager will be in touch to setup a walk through. © 2017 PureMix · Website Design by M is Good.